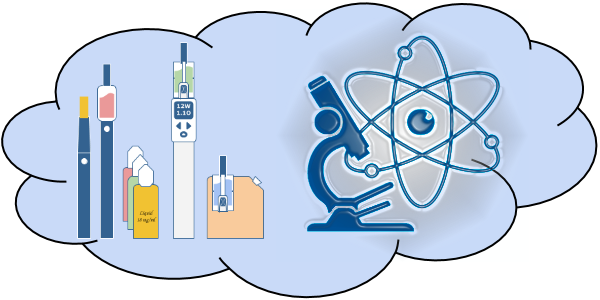 In this Blog I try to gather and spread some thoughts about vaping and science. Definition of “Cessation” – How do you define it? Particulate Peril – Do particulates matter? Have you tried the Vita Cigs (Vita Stik) that has no nicotine in them? Do you think it helps transition to not only tobacco free, but nicotine free as well? I’m thinking of the diminishing dependency method of moving from tobacco to ecigs, and then slowly to vaping a non nicotine product as a way to do so. 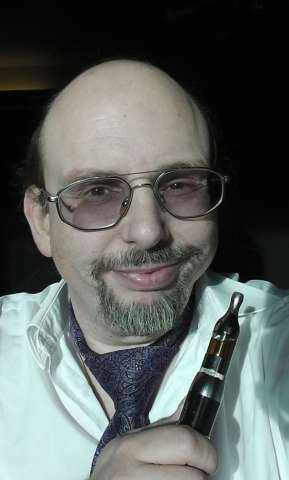 It’s working for me so far, I moved from cigs to ecigs, and now vape about 20% nicotine blends and 80 percent VitaCig non nicotine to satisfy the habit of inhaling. Actually, no. And I don’t intend to. If I ever should want to vape without nicotine it sure wouldn’t be some expensive cig-alike vape stick. I prefer modern devices and a free choice of liquids with a plethora of tastes available. If these things work for you, it’s your choice. Hi, I have noticed from “Discuss” commenting that we agree 100% of the time on vaping issues and anti vaping propaganda and misinformation campaigns. I am glad that I finally checked your profile and found your blog. I now have it bookmarked. Do you use any other platforms such as Vaping Forums or Facebook groups to post to? Thank you very much for your contributions to helping the public, smokers, and Vapers stay educated by what is shaping up to be the biggest THR movement in history. We have a long uphill battle ahead of us and we must stand strong to any taxation and/or loss of the freedom of switching to a far less dangerous method of consuming nicotine without tar and carbon monoxide which are the know killers in nicotine dependence. I’m also at the two biggest German forums, but i haven’t posted much there recently. On facebook and (occationally) google+ I usually post on my timeline. I don’t often post directly to groups. I read some and leave comments. At times our battle seems more upcliff than uphill. All the more reason to keep on fighting. Letting go and taking the fall would be much easier, but the result quite messy. Your article on your FB site is definitely more than I ever expected to know about vaping. I am not a smoker but saw you were serious about this subject. I happen to know a pharmacy in SE Florida that was going to do sterile compounding but changed its mind. They have a tested but unused Clean Room (70 sq. ft. and stainless steel + glass) for sale. I understand that clean rooms are used by the liquid manufacturers. I know those clean rooms are huge. Perhaps you know a small company that needs a start-up facility? It is disassembled and stored in a climate controlled facility in SE FL. Just networking ….